You are currently browsing the archives for the TakeAction Minnesota category. TakeAction Minnesota is trying to spin this disaster as a good faith effort to talk about the issues. That’s a lie. In fact, when TakeAction Minnesota trespassed onto Jason Lewis’ private home, they used a tactic that Democrat fringe groups have used before. 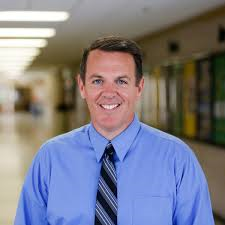 One of Lewis’ challengers, Rosemount high school teacher and football coach Jeff Erdmann, remains quite skeptical of all of these claims, and sent some mixed messages out regarding the incident. It isn’t difficult to paint Erdmann as a conspiracy theory fanatic. What proof does Erdman have that Lewis’ “campaign doctored TakeAction’s video” before posting it? If he doesn’t have proof, then he should be ridiculed mercilessly for making that type of accusation. Last Sunday, on a peaceful, sun-crisp afternoon, our toddler finally napping upstairs, my front yard exploded with 500 screaming, placard-waving strangers on a mission to intimidate my neighbor, Greg Baer. Baer is deputy general counsel for corporate law at Bank of America (BAC, Fortune 500), a senior executive based in Washington, D.C. And that, in the minds of the organizers at the politically influential Service Employees International Union and a Chicago outfit called National Political Action, makes his family fair game. These aren’t frustrated people trying to contact a politician about an important issue. They’re people who didn’t think twice about intimidating young women in their own homes. That isn’t acceptable. That’s what playground bullies do. Since Hillary’s defeat, Democrats have tried proving that they’ve closed the enthusiasm gap with Republicans. If I got $100 each time I saw or read an article that predicted Democratic victories in special elections that didn’t happen, I’d have a fat retirement account. This article highlights how little Democrats understand about the people they’d like to represent. As if you didn’t have your fill of liberal tomfoolery this week, check out what the Dayton administration is up to over at the Pollution Control Agency. Provide reusable or compostable plates, cups, silverware and linens, or ask your guests to help contribute dishware! Using reusable and washable items is always the best choice whenever feasible. If you provide separate recycling containers for empty cans and bottles, you can go one step further by buying bulk-size containers and asking guests to bring reusable cups or mugs. Elect to email invitations when possible to reduce paper waste. It’s also a great idea to tell your guests in the invitation to bring their own food for the potluck or dishware, or at least to share how sustainability is a goal of your event! Buy condiments in bulk to avoid those pesky individual wrappers. Buying food in bulk is an easy way to create less packaging as well! Remind guests to bring reusable containers so they can take leftovers home. Otherwise, you can gather the leftover food and take it to a compost drop-off site. The Left has once again peed into the wind and declared it a refreshing rain shower. This week, protesters from the infamous Take Action Minnesota showed up on the doorstep of Congressman Jason Lewis’ private home to protest, taking full credit for their despicable actions by livestreaming the event and later taking victory laps on social media, much less refusing to apologize for trespassing on his private property (yes, a concept foreign to these people) and disturbing his and his neighbors right to the peaceful enjoyment of their property. Let me rephrase that. If you see TakeAction Minnesota activists in your neighborhood, don’t run. Run fast. If Democrats don’t start acting like normal people, they’ll keep losing. Justin wanted me to know that “What happened in Crossroads, in my community, this weekend is a tragedy. I’m hurting and so is the rest of my TakeAction team. We wish the ten victims of the attack and their families healing and strength.” After that, the email gets uber-emotional fast. Emotions are contagious, so spread positivity. A community is like marriage, through sickness and in health, to have a healthy community requires that we be strong together, speak to each other, and to move in one breath and beat. We need to come together right now, or we won’t heal. We can’t be afraid. Let us hold hands through our roughest times. Both of these testimonials make some foolish assumptions. First, they’re assuming that the Somali community wants to assimilate. At this point, that’s a theory. It isn’t a fact. If Somali refugees were interested in assimilation, why did the terrorist’s father need a translator when talking to police? He’s been here 18 years, which is more than enough time to learn the language. Next, these TakeAction, aka DFL, volunteers apparently think that these refugees just need to be told that they’re welcome here for them to become productive members of the St. Cloud community. 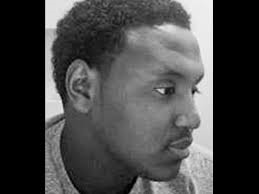 I’m sure that if Sabrin and Sarah had just talked with Dahir Adan, he wouldn’t have attacked those shoppers at Crossroads Saturday night. It’s pretty sick to use a terrorist attack to cozy up to voters who frequently don’t share our priorities. That’s what TakeAction Minnesota just did.